A wind turbine farm north of Fithian, Ill., in Vermilion County on March 25. 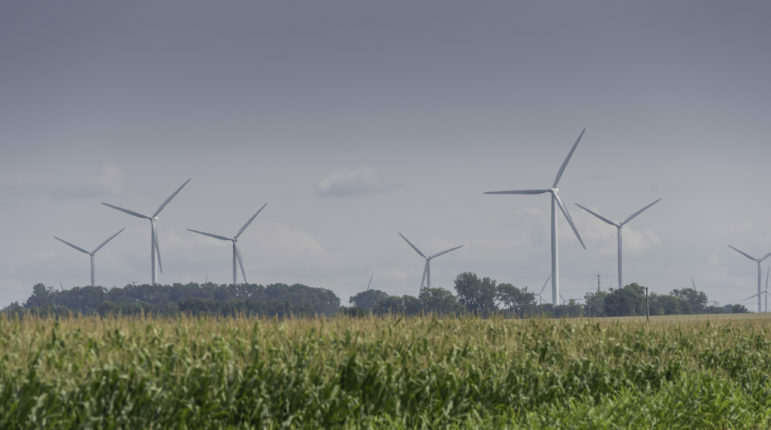 Across the windswept Midwest, wind turbine companies — often based overseas for tax shelters — have lobbied for low or non-existent property taxes rates and steep depreciation schedules. The big losers in the deal? Rural school districts that depend on those property taxes. 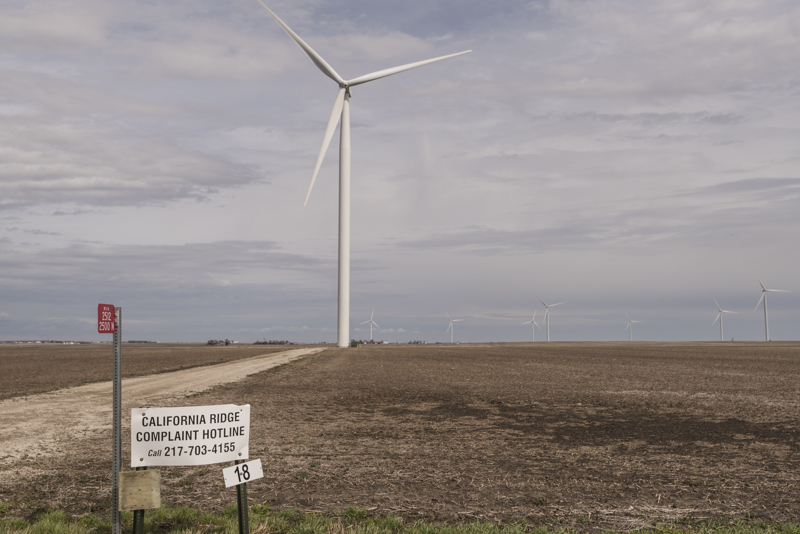 In a multi-state reporting collaboration, Flatland, the digital magazine of Kansas City PBS, and the Midwest Center for Investigative Reporting, an independent, nonprofit newsroom in Illinois, uncover how states like Kansas have given away the wind farm. The exemption leaves untaxed for life nearly $630 million in Kansas wind farm equipment, according to the Kansas Department of Revenue. 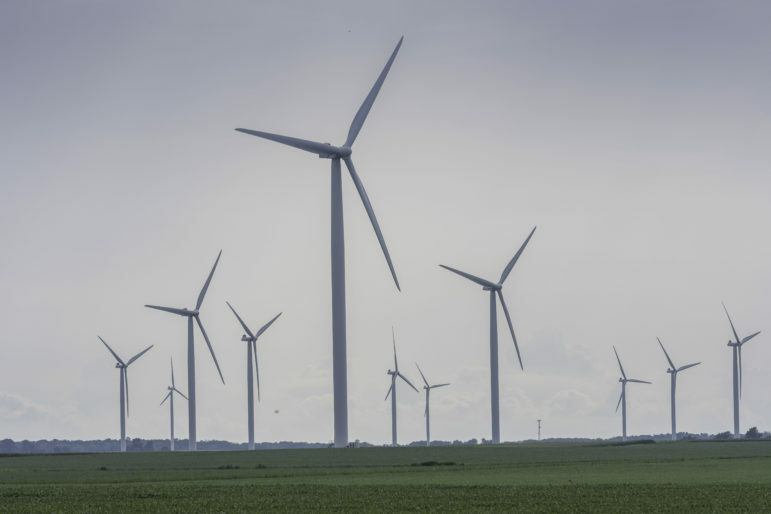 If it were on the tax rolls, that equipment would generate around $82 million a year in additional revenue for the 24 rural counties with wind farms. A wind farm among corn and soybean fields south of Colfax, Illinois. 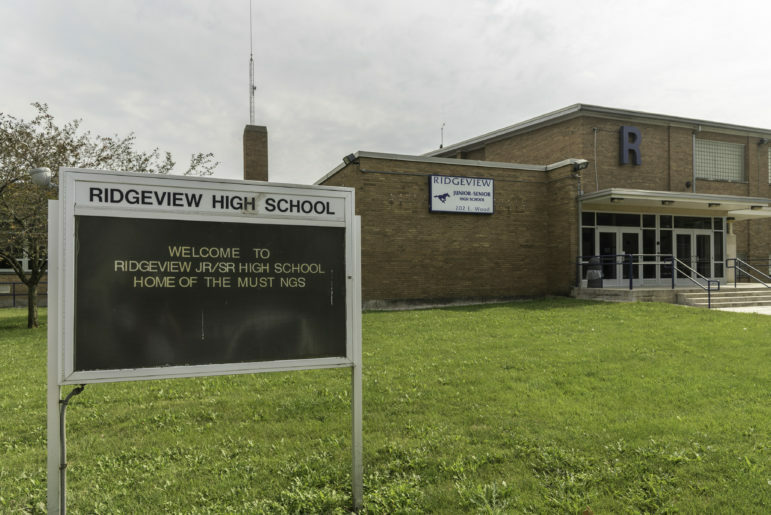 Ridgeview High School in in Colfax, Illinois. Over the first three years of a nearby wind farm operation, the school district received more than $850,000 in additional tax revenue. A complex system of federal and state tax credits has played a key role in the development of wind farms across the United States, with billions of dollars of support going to foreign and U.S. energy companies.